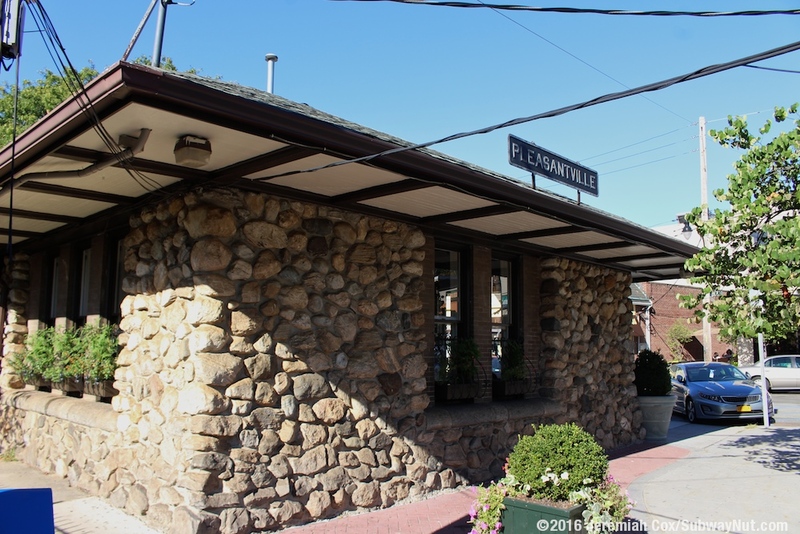 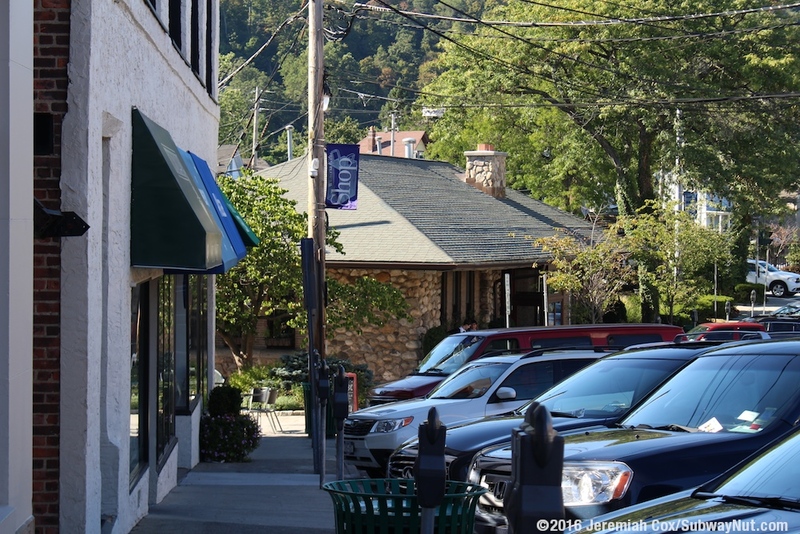 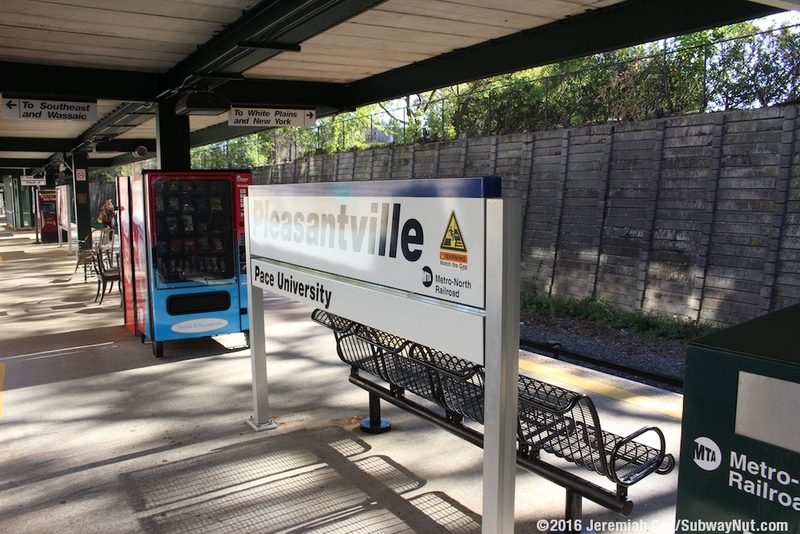 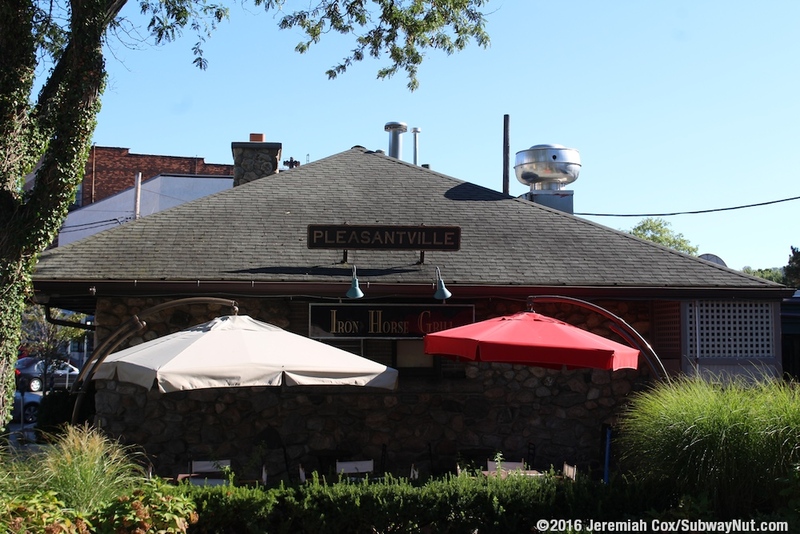 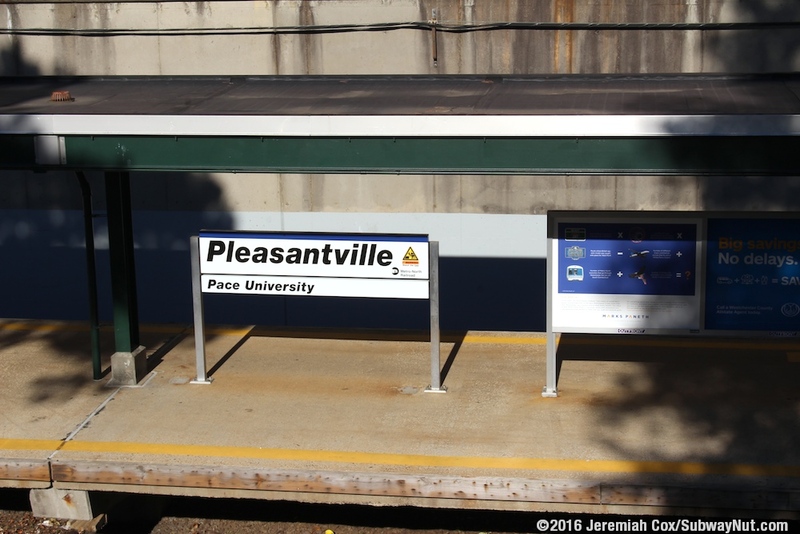 Pleasantville consists of a single island platform located in an open-cut trench beneath the Village Center of Pleasantville. 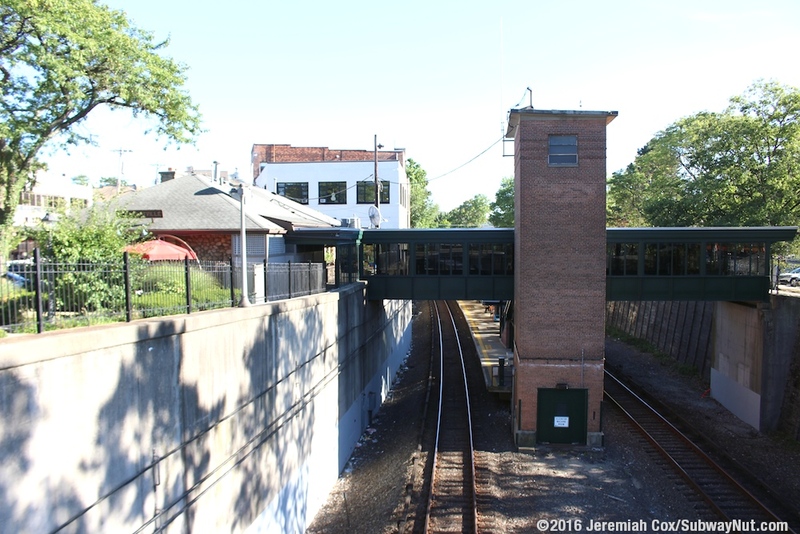 The tracks were depressed in a grade-crossing removal project in 1959, removing most of the grade-crossings in town. 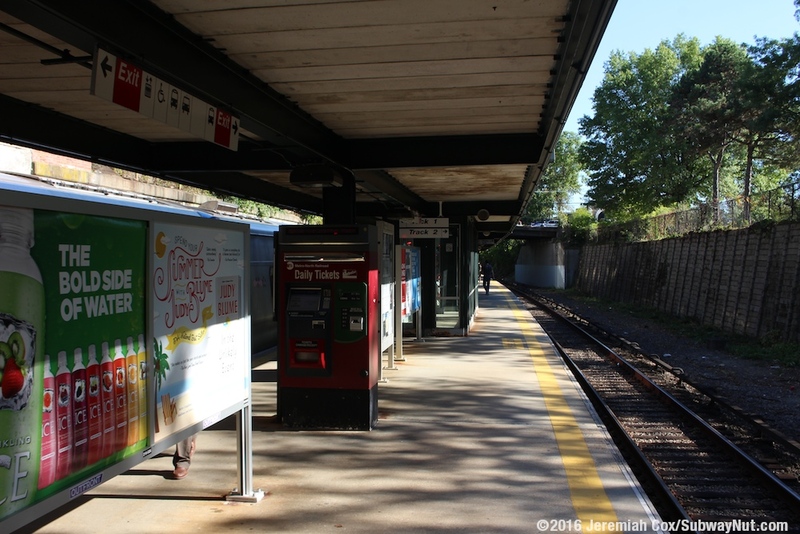 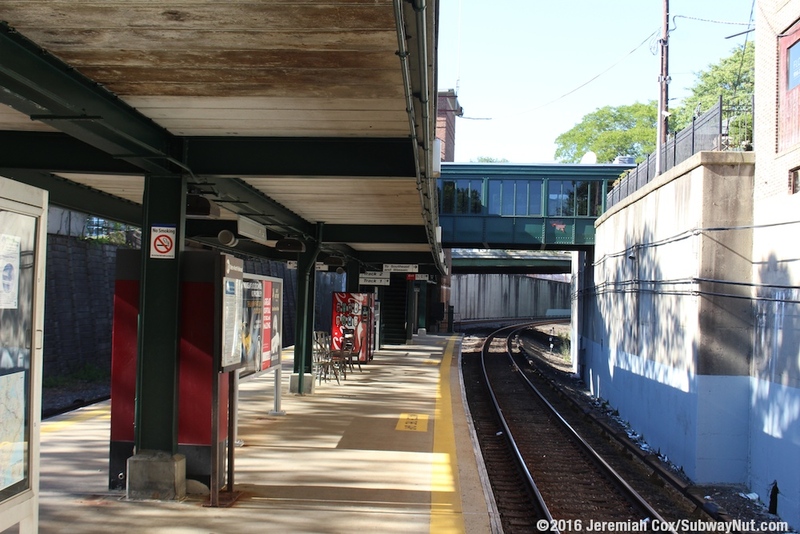 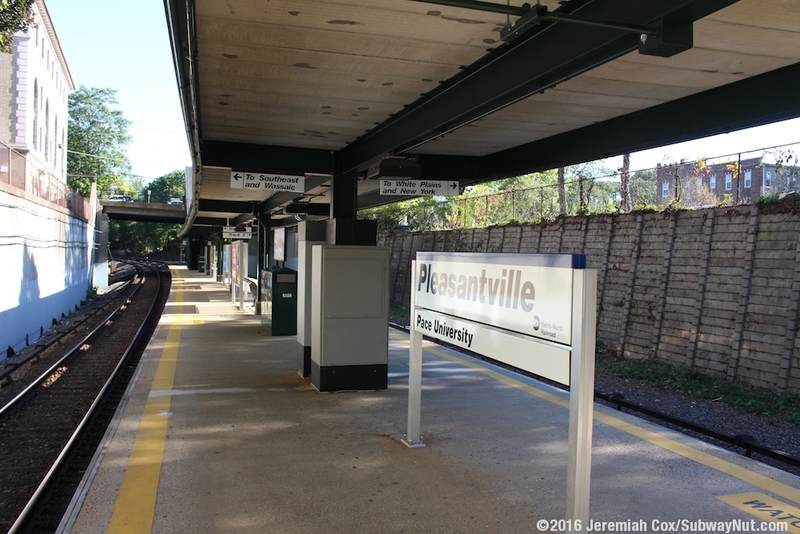 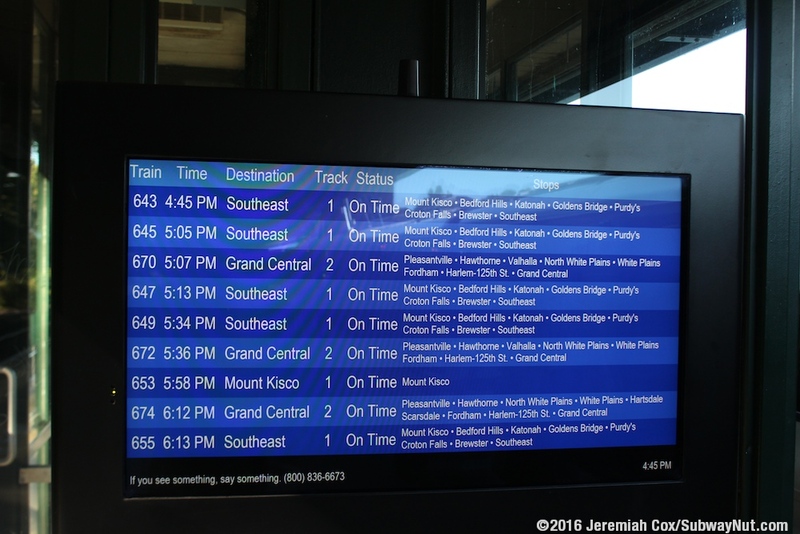 The station's single island platform begins with a staircase down from Bedford Road and runs north for six cars ending at an elevator and staircase up to a pedestrian bridge just south of Manville Road's overpass above the tracks. 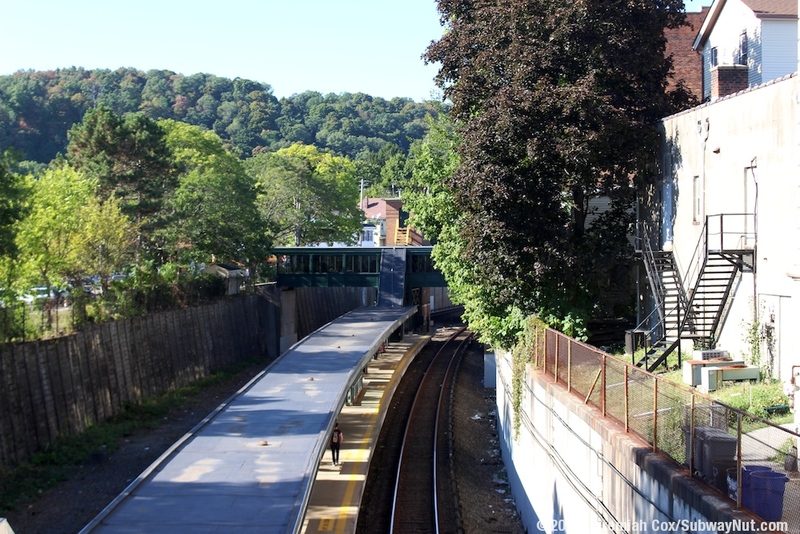 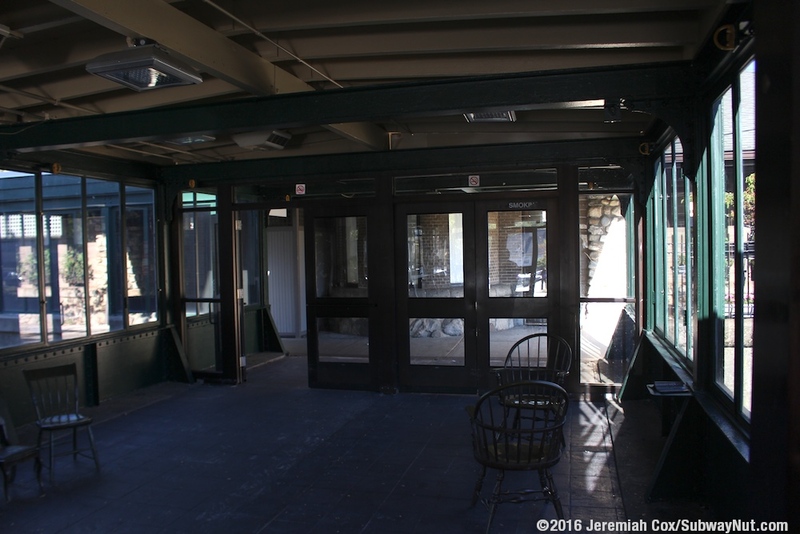 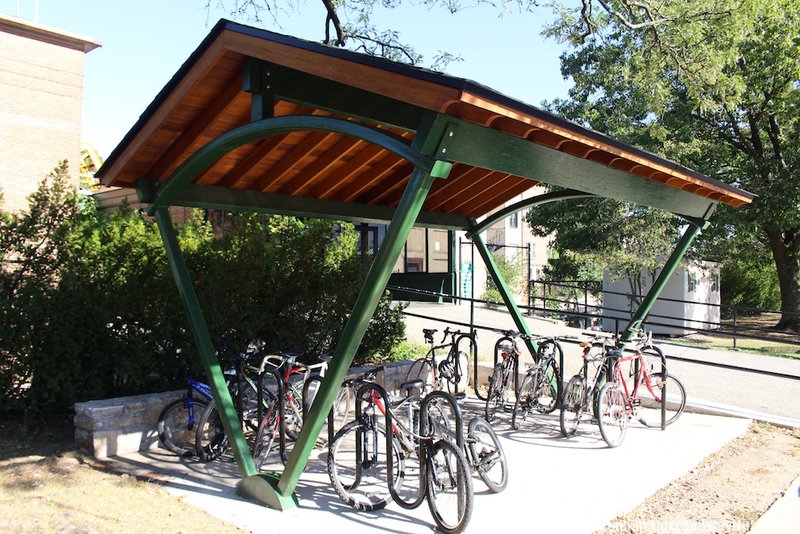 The platform is covered by a green canopy that also includes windscreens around the staircases up to each overpass. 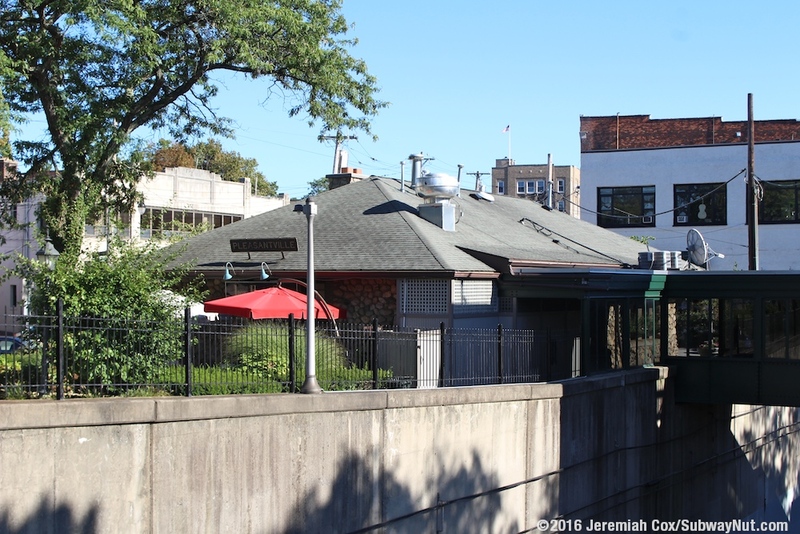 The main pedestrian overpass leads through a historic 1905 stone station house that now contains a restaurant, along and above the eastern side of the railroad ROW. 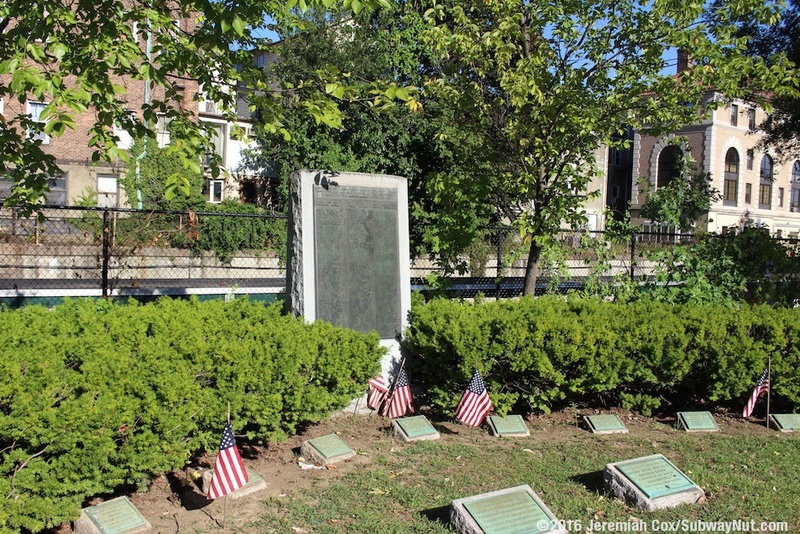 It is along Wheeler Avenue. 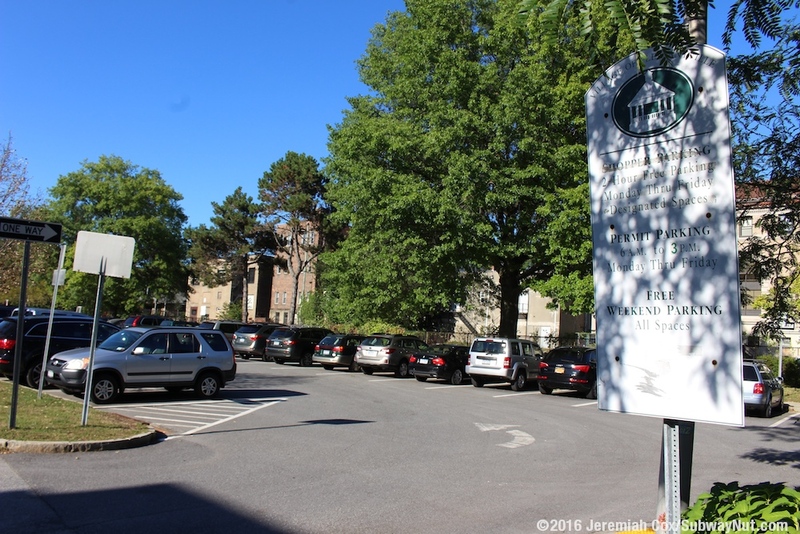 The western side leads to the primary parking lot and Memorial Plaza. 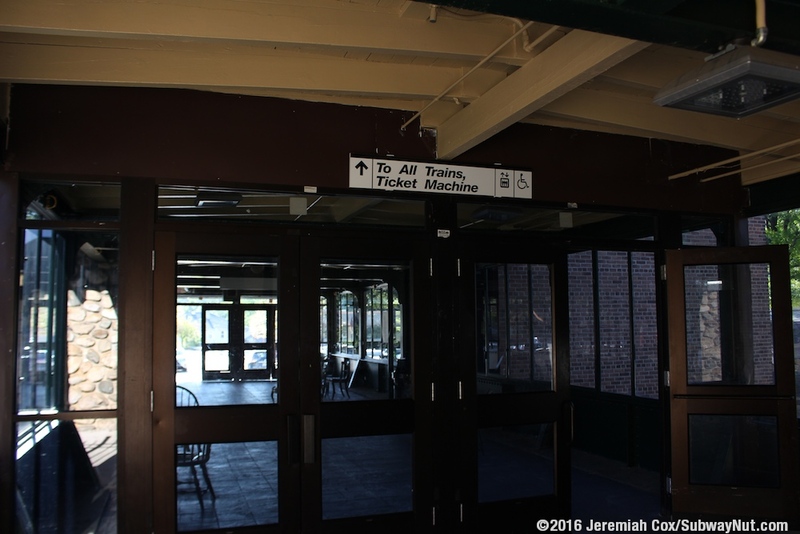 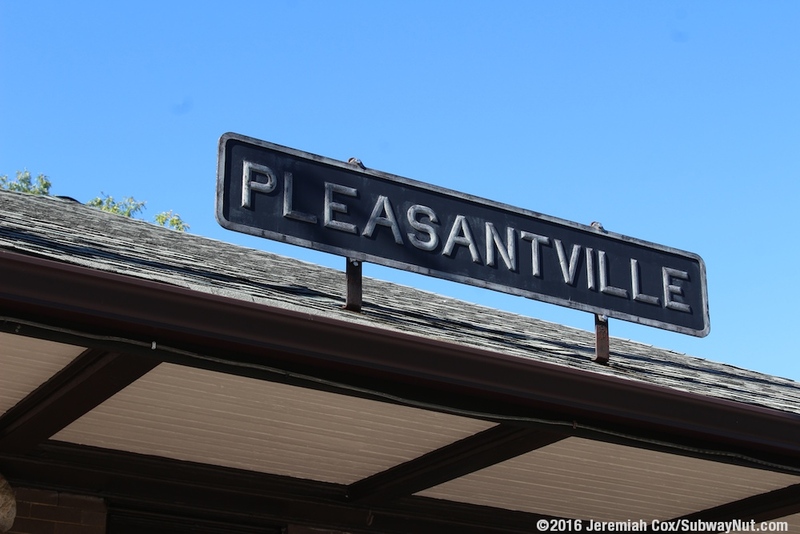 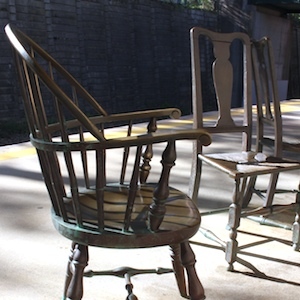 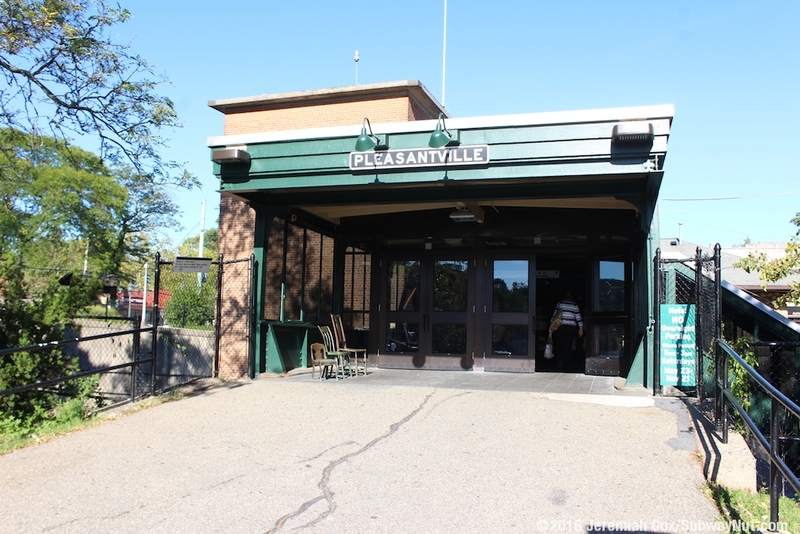 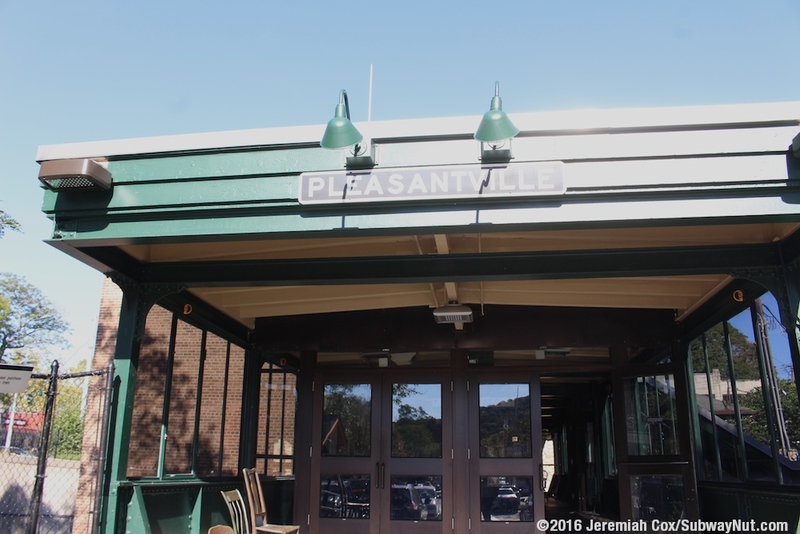 Along each side of the overpass and station house are both original and replica New York Central-style signs for Pleasantville.